Clive Thompson LRPS Photography: Swan Inn, North Petherton TA6 6QA in 1973. Swan Inn, North Petherton TA6 6QA in 1973. 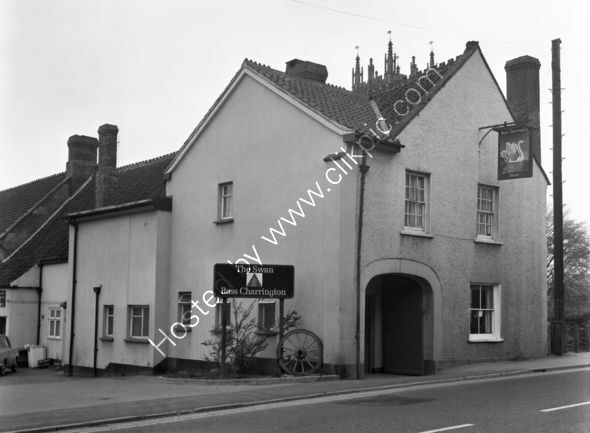 The Swan Inn, North Petherton near Bridgwater in 1973 when it was a Bass Charringtons outlet. Researched in 2017 it was closed and when researched again in 2019 was found to be yet another Tesco Express. In this old photo an ornate roof is found but not so ornate that it competes with the church tower in the background. Three glass bottles of milk are ready to take in from the shelf above the old washing machine. For commercial use of this photograph please visit www.alamy.com and search for RFFCBM but for a one off print, please see below.